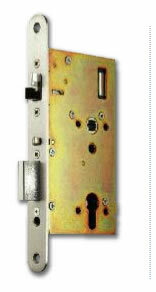 The Abloy EL526 is a motorized Mulipoint solution for wooden or metal doors, with deadbolt and anti-friction bolt. Fail locked outside. Free egress from inside when handle fitted. Control unit included. Meets EN1125 when used with 990000-SE panic bar. 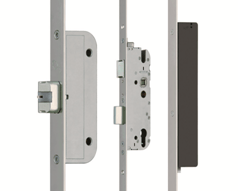 The EL526 is a motorized Mulipoint solution for wooden or metal doors, with deadbolt and anti-friction bolt. Fail locked outside. Free egress from inside when handle fitted. Control unit included. Deadbolt is withdrawn by motor and thrown by spring force. Deadbolt and anti-friction bolt are both deadlocked when door closes. Anti-friction bolt is freed when deadbolt withdrawn by motor. Easily reversible trigger bolt for all hands of door. In the event of power failure deadbolt is automatically thrown, released by mechanical override. Tested to draft standards for burglary of prEN1627 and mechanical resistance EN12209.